The Insurance Institute of Highway Safety (IIHS) has put together a list of the best vehicles for teens under $20,000 and another list for best cars for teens under $10,000. Known for its ratings for Top Safety Picks on brand new vehicles, the list for teens carries the IIHS high bar of excellence and applies it to a more affordable option for teen drivers. Honda models have earned several spots on both lists, offering cool interiors and stylish exteriors for teens, and great safety ratings, dependable performance, and an affordable price for parents. Setting a budget under $20,000 gives teens and parents a list of excellent Honda options including the Accord sedan or coupe and the CR-V crossover that has available AWD and a more spacious and versatile interior. There are also excellent Honda models available for teens under $10,000. The midsize Accord sedan is dependable and safe on the road with a comfortable interior that’s perfect for everyday driving. For teens looking for a more spacious interior that offers more versatility for cargo, the Element and CR-V are great choices. And the Honda Odyssey offers great safety features that can be a great option for new drivers. 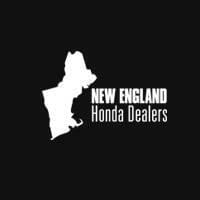 Find out more information on these great Honda models by contacting us or visiting your nearest New England Honda Dealer. Explore current offers and experience the model that is right for your teen firsthand with a test drive today.